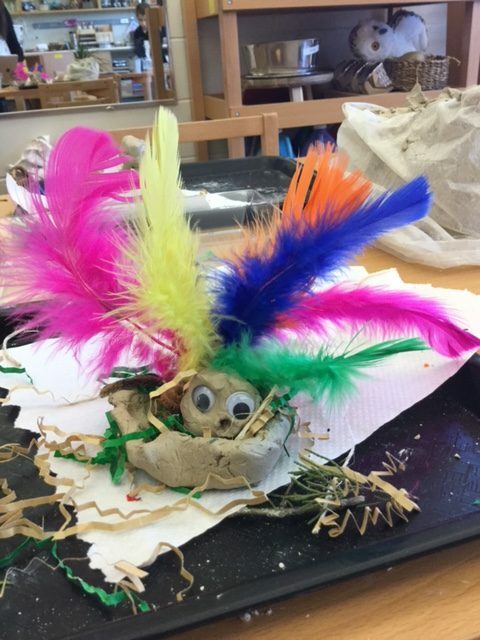 For many, art in a classroom is seen as a finished product made of paint, clay, or collage materials, but for others, art refers to spontaneous, open-ended, and often messy explorations with little to no direction from the teacher. 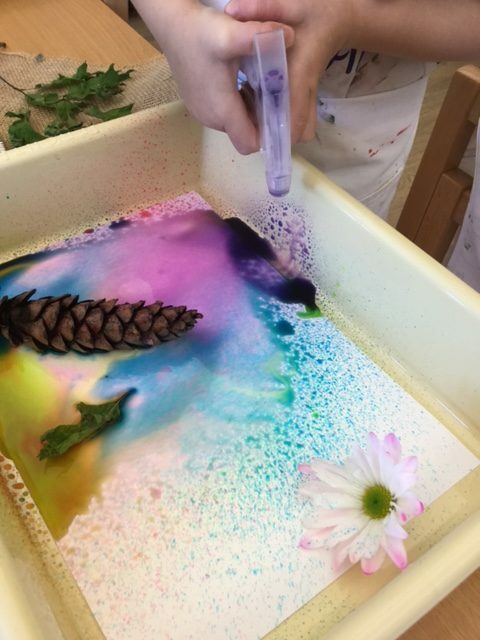 At The Compass School, we use the word “art” to describe a lively process of engagement that is reflective, creative and deliberate and that deepens and extends the children’s learning. Through encounters with a wide range of media and materials, children become more comfortable and skilled and begin to use the materials to communicate or represent their understandings, emotions, discoveries, and interests. The schools in Reggio Emilia, Italy refer to this communication as “The Hundred languages”. Through these “hundred languages” of expression and representation, children have the opportunity to collaborate, realize new perspectives and deepen their relationships with each other. At municipal schools in Reggio Emilia and The Compass School in Cincinnati, Ohio, there is a space called the atelier. This space has art supplies and various materials for children to work with (such as recyclable materials). In addition to the atelier, there is an Atelierista, whose goal is to support the hundred languages of our children by facilitating short and long-term art projects. Our Atelierista is Silivia Cattini, who is originally from Milan, Italy. She understands the power of art and how it can shape her practices with children. Silvia’s teaching and learning are inspired by the pedagogy of the schools in Reggio Emilia and their emphasis on the “hundred languages”. She takes advantage of opportunities to look closer at the role of art in the lives of our children and pays special attention to the ways that art invites children to look at things closely, ask questions, take on new perspectives, explore emotions, examine thinking, and communicate and listen to themselves and their peers. As parents and teachers, we should reconsider the art activities we offer our children. Rather than planning product-oriented art activities, that encourage “copycat” artwork, which can discourage a child’s individual creativity, try offering an art medium such as watercolor paint and brushes, which allows the child to experience the process of creating art. The goal of offering open-ended art experiences with various media is to emphasize the process of creation, rather than the goal of being a finished product. By introducing art media through open-ended full explorations, children come to fully understand a medium: how it behaves, how it can be used, how it feels on our bodies and what tools are needed to work with it. This knowledge provides the foundation for using art as a tool for thinking in the classroom. When introducing various media, we suggest providing and modeling support about techniques for using art media to help build skills. Offering children repeated opportunities with a medium helps them become more fluent in the language of art. For example, offering tempera paint and brushes and inviting children to explore the paint with all their senses. Encouraging children to experience the paint with their hands and asking them how it feels, testing to see how the paint moves on rough paper vs. smooth paper, asking them to observe the marks the paint makes using a thick brush vs. a thin brush helps to foster the foundation for using art as a tool for thinking and allows the child to become fluent in various media. If our goal is to encourage children’s creativity through developmentally appropriate art experiences we must understand the differences between process-focused art and product-focused art. 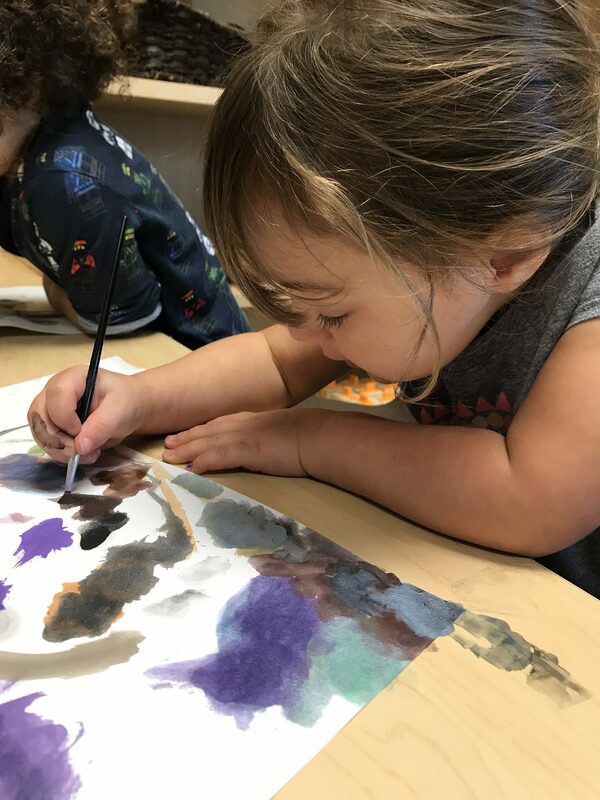 Laurel Bongiorno, PhD and Dean of the Division of Education and Human Studies at Champlain College, shares a review of these differences in her article, “How Process Art Experiences Support Preschoolers”. Physical development Children use small motor skills to paint, write, glue, use clay, and make collages. Art in a Reggio environment should be an interpretation of an experience, not a copy of other’s ideas or suggestions. Art should be treated as an expression of the child’s current understandings, rather than a representation of an object. This perspective makes art a tool for making meaning. Art media is just that, a tool to help children make their ideas, thoughts, theories, and perspectives visible and to construct a new understanding of the subject. click here for a tour of a school in your area! The Language of Art: Inquiry -based Studio practices in Early Childhood Settings, by Ann Pelo, Red Leaf Press 2007. More Than Painting, Preschool and Kindergarten: Exploring the Wonders of Art, by Sally Moomaw and Brenda Hieronymus, Red Leaf Press 1999.